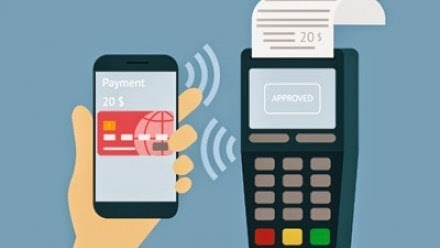 Home » Mobile , Online Cash , Tools » 5 Ways NFC Helps Your Business Grow! Suddenly, NFC (Near Field Communication) seems to be everywhere; in the news, embedded as a chip in your phone and even at the neighborhood store! If you are a business owner or entrepreneur you may be asking yourself why you should invest in this technology. How will this help increase profits or make your business run more smoothly? The answers to this are many and just 5 of them will be enough to convince you that this is the best business decision you will make in 2015. Nothing is more upsetting to a business than seeing that customers are getting tired or upset, in line to pay for the goods and abandoning their shopping baskets before check out. You want them to be on their way quickly, happy with their purchases and willing to return to your store as often as possible. Contactless payments make this happen so seamlessly, because all the consumer has to do is tap and pay, placing their phone near an NFC reader and the amount is deducted. Just a tap and the customer can move on to doing other things in life. RECOMMENDED: Content Marketing Resources You Can’t Afford to Miss! Business these days is very competitive, with multiple offers and discounts available to consumers, so any technology that builds a loyal customer base will benefit growth. That is where NFC payments can help, by making the customer interaction easy and hassle free and setting your café or store apart from the competition. Safety and security is a concern for you and your clients. Here contactless technology can help because it has several superior security features, such as a PIN authorization and fingerprint scan options. These ensure that transactions are completed in a way that all parties are protected. The merchant receives his payment promptly and the shopper is safe from theft or misuse by not sharing any of his personal and financial information such as credit card or bank account details. Prompt settlement is desired by all businesses and is an added benefit of the NFC system, which also helps you track and analyze sales transactions and spending habits. This gives you the added advantage of helping you plan future marketing and sales efforts as well. The more you know about the shopping habits of consumers’ the better equipped is your business to anticipate their needs. Early adoption of NFC technology makes your business appear innovative and more attractive. Ever since Apple launched NFC enabled phones in October 2014, the momentum to include NFC chips in other mobiles has grown as well. This means that more and more people will be familiar with and want to embrace this technology and your business can be a trendsetter in this regard. In conclusion, It makes solid business sense: So if innovation is crucial to your growth, NFC is the right choice for you and your customers. Faster, safer payments lead to greater growth and the thriving of businesses and communities everywhere.